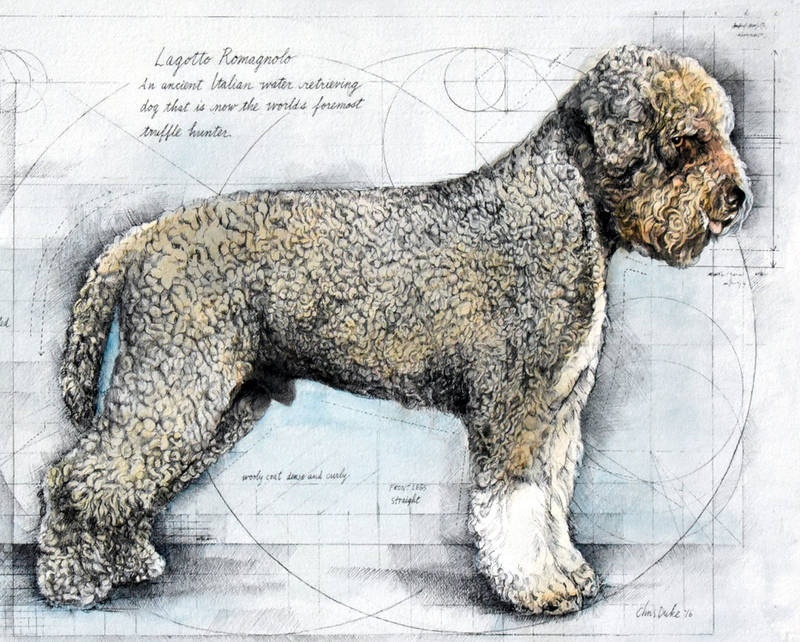 It was wonderful to meet Niko, a beautiful Lagotto Romagnolo, at the 2015 National Dog Show and to be commissioned to paint him. Though the Lagotto Romagnolo is an ancient breed - one renowned for truffle hunting in Italy - 2015 was the year this breed was officially recognized by the American Kennel Club. I loved doing this art!